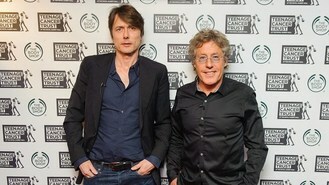 Suede might have to turn the volume down at their Teenage Cancer Trust gig in March after frontman Brett Anderson said legendary rocker Roger Daltrey complained they were too loud last time. Brett, who reunited the band to play o ne of the charity's gigs four years ago, said: "I'm really proud, last time we played I came off stage and said 'How was it?' and he said 'Great, but it's just a bit loud though'. "I thought for Roger Daltrey to say a show was loud, that's quite an achievement, right?" Brett, who said one of the reasons the band got back together was to " address what we did wrong in the first place", said the gig at the Royal Albert Hall was one of his favourite performances. He said: "T he show we did in 2010 was basically a reunion show, we hadn't played together for over seven years and it did turn out to be a very special night. I don't know if it was just that or if it was the fact it was the Albert Hall or the Teenage Cancer element but there's something really special about it I think".